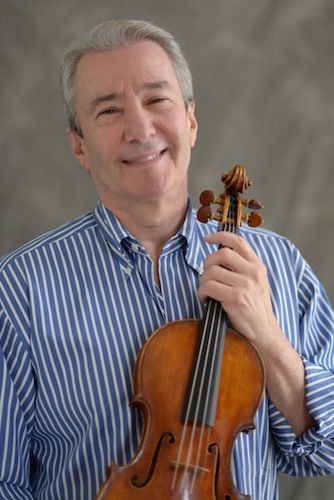 September 10, 2018, 7:07 AM · On Monday the Heifetz International Music Institute announced that violinist Nicholas Kitchen will succeed Daniel Heifetz as Artistic Director of the organization, starting Oct. 1. Violinist Nicholas Kitchen. Photo by Violinist.com. The Institute, founded by Heifetz in 1996, takes place for six weeks each summer on the campus of Mary Baldwin University in Staunton, Va., accepting about 80 students annually. It specializes in developing the expressive potential in young musicians, using a unique curriculum of communication training developed especially for the Institute. Last January Heifetz announced that he would retire this fall. 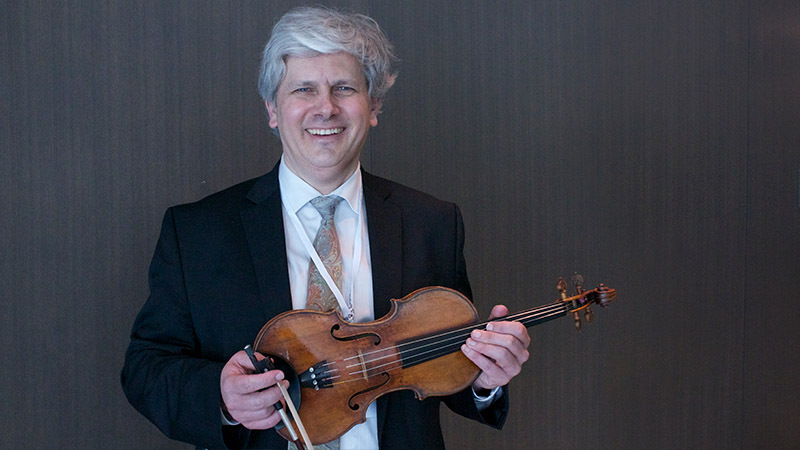 For the last three summers Kitchen has been a faculty member at the Heifetz Institute, and the Borromeo String Quartet, which he formed in 1989 with friends from the Curtis Institute, officially became its Ensemble-in-Residence in 2018. "A great performer may dazzle us with their technique, but it is when they open their heart that the stage really comes alive," said Kitchen. "Daniel Heifetz founded the Heifetz Institute for young artists not just to learn their craft, but also to learn how to find and tap into their own musical passion and learn how to bring that passion to the stage. What could be more inspiring than hearing what this brings out in each of these brilliant young musicians! I am excited to add what I can to this marvelous history and I look forward to all the great music we will share together." Kitchen has taught at the New England Conservatory of Music since 1992, where the Borromeo Quartet also is in residence. Born in Durham, North Carolina, Kitchen grew up in a family of musicians and studied violin with Giorgio Ciompi at Duke. At age 16 he went to the Curtis Institute and studied with David Cerone as well as violinist and conductor Szymon Goldberg, also taking conducting courses with Otto Werner Mueller. Kitchen currently plays the "Baron Vita" Guarneri del Gesù violin formerly played by his teacher Goldberg, and he serves as faculty at the Szymon Goldberg Seminar and Festival in Toyama, Japan. In addition to working as a soloist, chamber musician and teacher, Kitchen also specializes in creating video art, finding new ways to use technology and in arts administration. Heifetz, who will continue as Artistic Director Emeritus, said that the Institute has become even more than he ever could have imagined. "The Institute has created a deep transformation in the lives of these young musicians, and nothing could make me happier," Heifetz said. "I really believe that it's a concept that must go on, beyond me. I am thrilled with the decision of the Heifetz Institute’s Board of Directors to name Nicholas Kitchen as my successor. Mr. Kitchen’s breadth of artistry is truly admirable. He is a brilliant concert soloist, professor, chamber musician and arranger, in addition to a creative intellect that is incredibly rare. I have deep respect and confidence in Nicholas Kitchen and his dedication to the vision of the Institute. I know he will take the Institute to even greater heights as it strives to transform the musical lives of the world’s next generation of young musicians."